Hello! 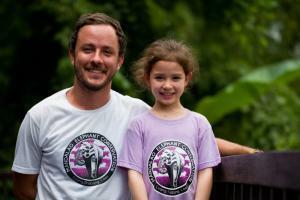 I was in Laos and in Luang Prabang, I visited the Mandalao Elephant Conservation. I was very excited to see the elephants! At Mandalao, there are 8 female elephants and 1 baby male elephant. His name is Kit and he is very naughty. There, all the elephants are free and when Kit is bigger he will go to the National Park. Before, there were 1 million elephants in Laos. But because of wars and hunting of their tusks, there are only 1,000 left. It’s also very sad that there are only 50 in the wild. I could give the elephants bananas and sugar cane. They love them! I also trekked in the jungle with Kit, his mother and his grandmother. I saw them pull down bamboo trees and old vines and then they ate them. It was very funny when Kit pulled down a big branch hanging from 2 trees. He put himself on top of the branch and let himself swing. His back legs got stuck and he tumbled. Then he did it again. It was fun to see but I was also scared that the tree would fall on me. 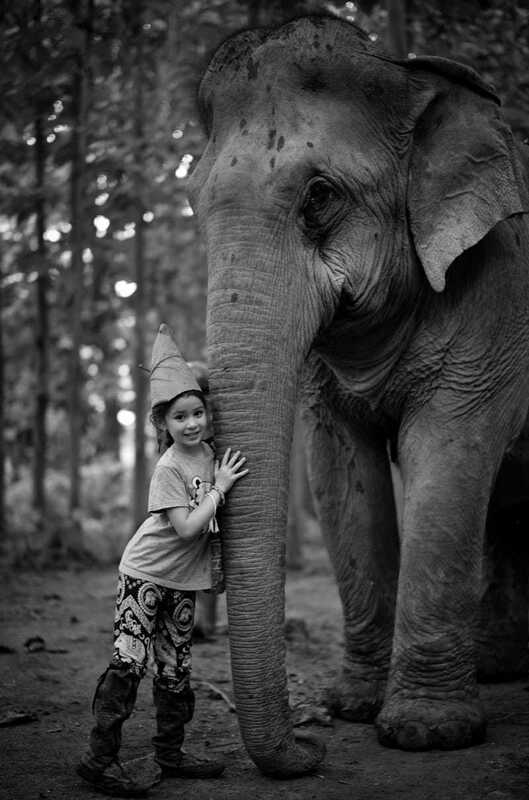 We can help the elephants by not riding on them when we visit Laos, Thailand and other countries. Riding hurts them very much. We should also not buy tusks. Please protect the elephants so that there will be more in the wild. Greg Mandalao’s Chief Program manager/Owner and Sophie enjoying the deck after spending. Some time with the elephants.